Loved the video and the music was perfect for your Inn and the wonderful historic civil war location! 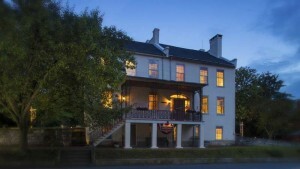 We loved our visit to Antietam and your inn. Everything was wonderful. We were grateful for your attention to detail, breakfast, and Zoey and Maya. I’m sure they were helpful in making this video which I am forwarding to my girls. I love my new mug too. Thank you again and we hope we get to return. (PS-found the outlets at Hagerstown-could be trouble next time; Ashokan Farewell is one of my favorites-perfect for your video.